I know it’s not quite the end of the summer, but butternut squash seems to be showing up more often in my local grocery store. In its honor, I thought this might be a great way to highlight the need to purchase said vegetable. Honestly, my favorite way to use butternut squash is to make baked “french fries” out of it, but my second favorite use is in this delicious soup. While it’s a hearty soup, the flavor becomes more decadent with the addition of crab. A lovely simple supper when paired with some warm crusty bread… this makes a great meal for a stormy night. Try it sometime and let me know what you think! In large saucepan, sauté onions in oil until translucent. Add liquid, squash and seasonings to onions. Bring to a boil and cook 20 minutes or until squash is very tender. Puree squash in pan with stick blender (can also use blender or food processor in batches) until smooth. Add crab dip and heat through but do not allow to boil. Note: This recipe can be a tad sweet. Feel free to add more Old Bay or some Tabasco for a bit of heat. Melt in butter and cream cheese slowly in double boiler. Add remaining ingredients and serve warm with crackers. I like to heat this in the oven for 20 minutes to get it a bit bubbly. 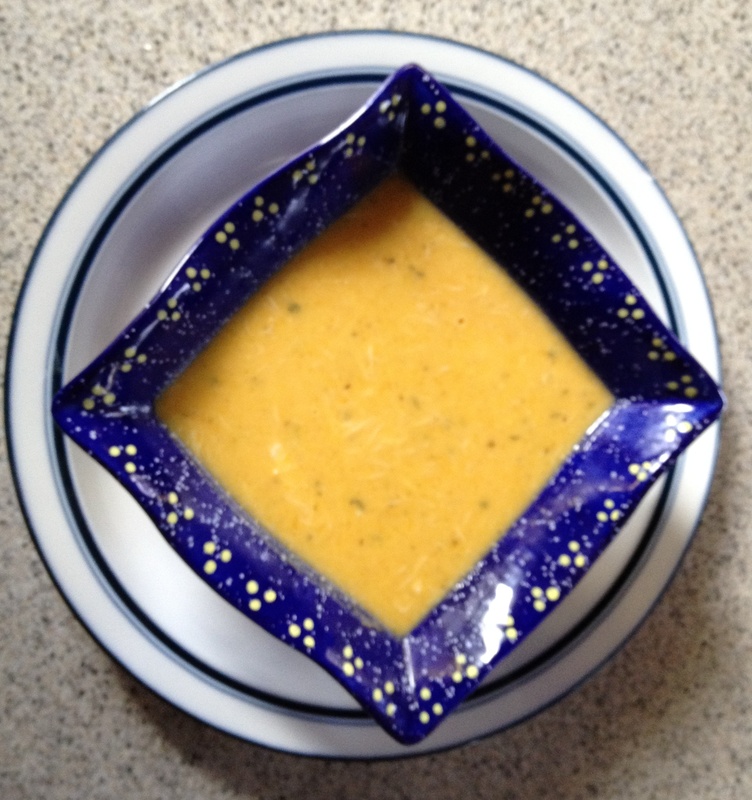 This entry was posted in Recipe, Wine and tagged bisque, Butternut squash, crab, easy recipe, vidal blanc.